Rock and Roll is in the air! As I am preparing to go on the road I can't help but plan my stage wear haha! So much fun! 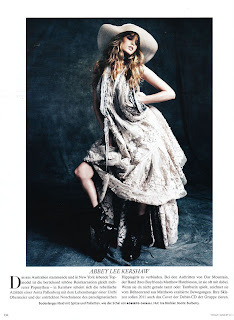 I love this set by Alex Lubomirski for Vogue Germany. 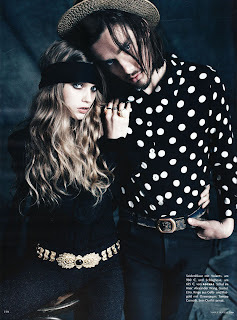 Abbey Lee Kershaw and her boyfriend Matthew Hutchinson look so rockin together! Nothing like the tride and true model rocker combination!